Two years from now, on August 21, 2017, North Americans will get an opportunity to observe nature’s greatest sky show i.e. total solar eclipse. For most Americans, this spectacular phenomenon will occur literally in their backyards. Also known as the Great American Eclipse, earth’s moon is scheduled to completely cover the Sun on August 21, 2017. Americans from Oregon to South Carolina will be able to see the spectacular show. 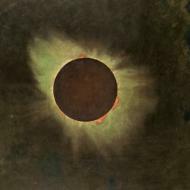 When one looks at the total solar eclipse, one could see the blackest black imaginable surrounded by the Sun’s ever-changing atmosphere, the corona. The quality of light is stupendous with an amazing light show of iridescence, scintillation, and delicate colors.